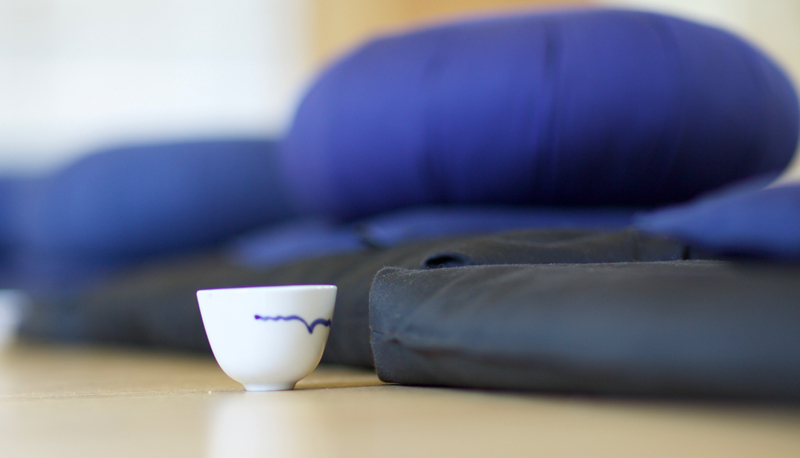 Tea, chanting, one 25-minute sitting period, one walking meditation, and a book discussion. Currently we’re reading “The Diamond that cuts through Illusion” by Thich Nhat Hanh. There’s no need to have read the book beforehand–we read the book together as we go.